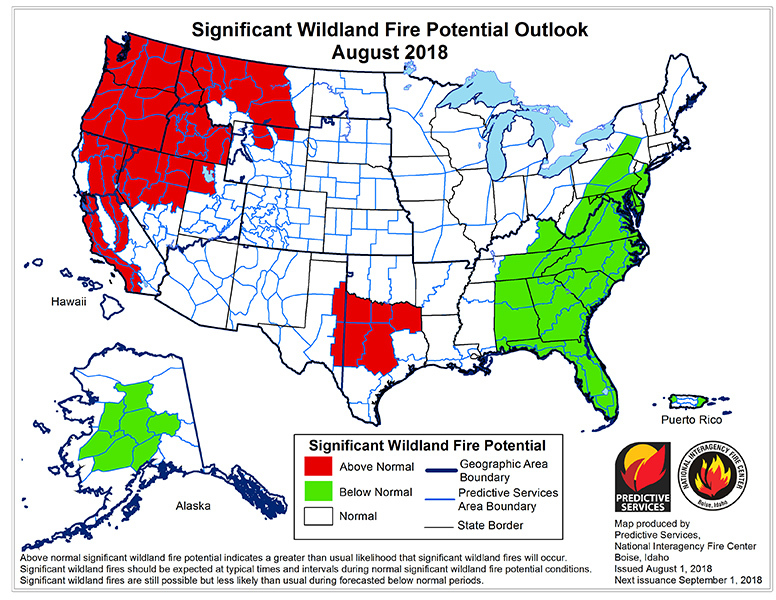 The August 1st National Wildfire Outlook Potential is very consistent with what has been forecasted before and what we are seeing up the North Fork. Bottom line for us is that we will see an above average August and September in terms of fire activity. No real relief during that period, however the forecast is confident that the season will close out in late September/early October, which is a relief. We received just a little bump of moisture a week ago – but all that did was extend the live fuel moistures for a week or so. We’ll be curing out fast without additional precip, and at some point the minor amounts (less than a quarter of an inch) will not do much at all. I was on the Kootenai Forest this week, and we need to feel fortunate in the North Fork that we have relatively moist fuels. They don’t, and the number of fires they are staffing reflects that. Stay watchful – water what you can, keep your grass mowed and trimmed, and watch for smoke. 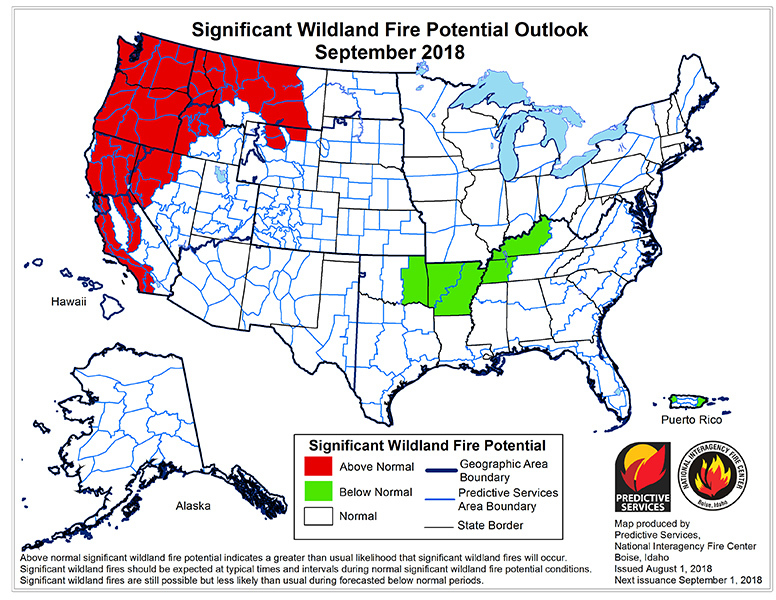 Here is the link to the August 1st National Wildfire Outlook Potential: https://www.nifc.gov/nicc/predictive/outlooks/monthly_seasonal_outlook.pdf.